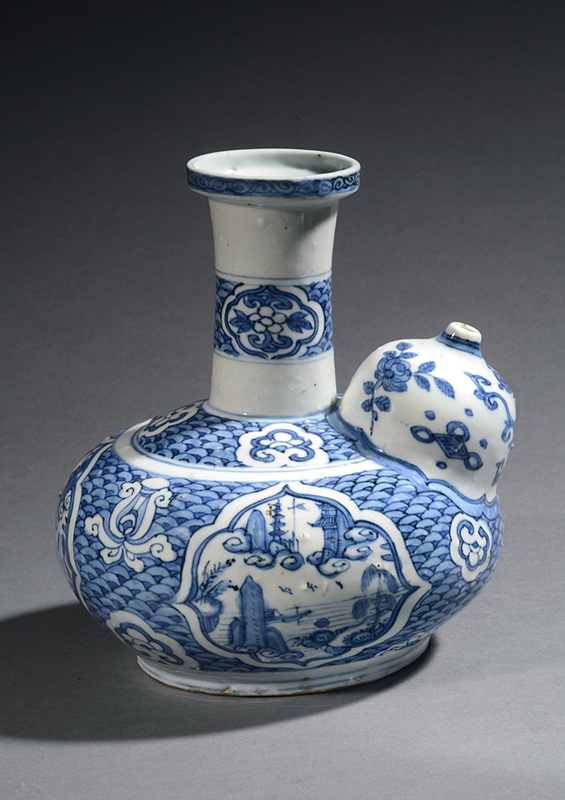 Very rare hexagonal lidded ewer with pear shaped body, a narrow neck standing on a widening foot. 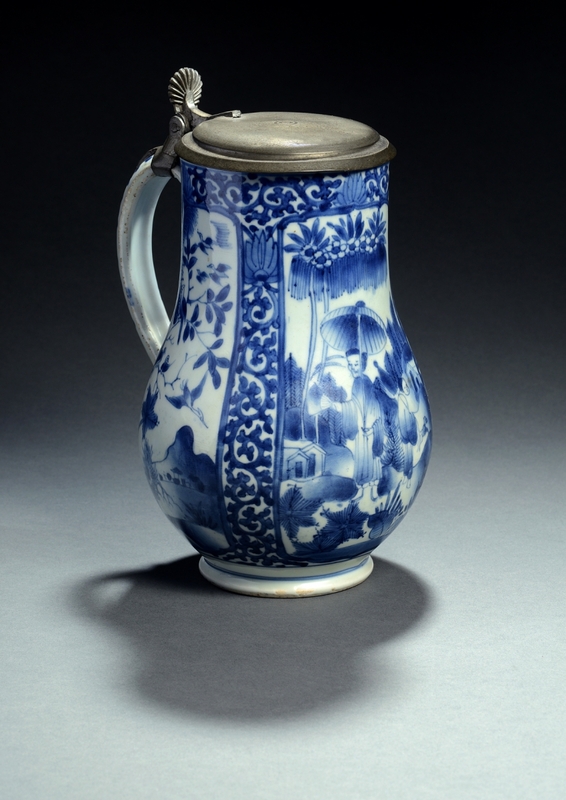 The spout has an extra connection to the neck in an s-shaped form. 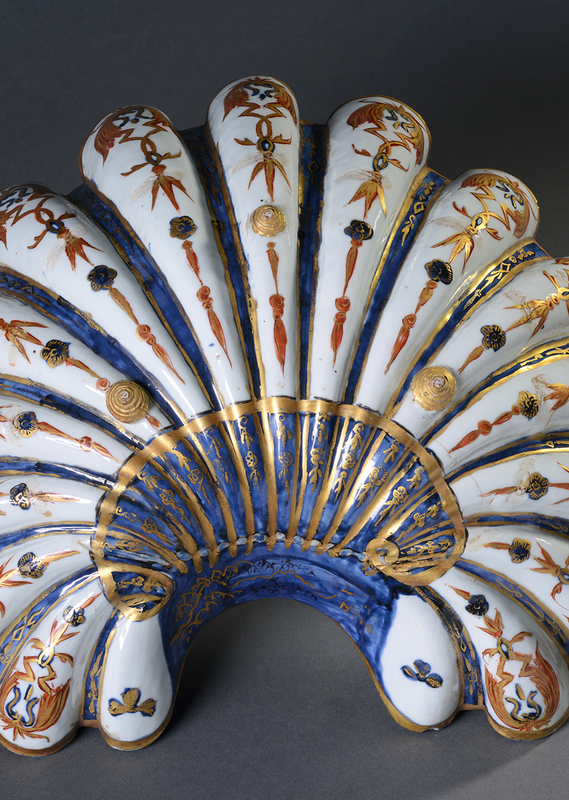 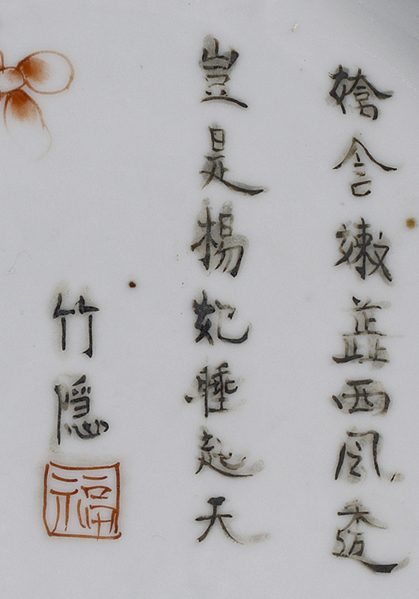 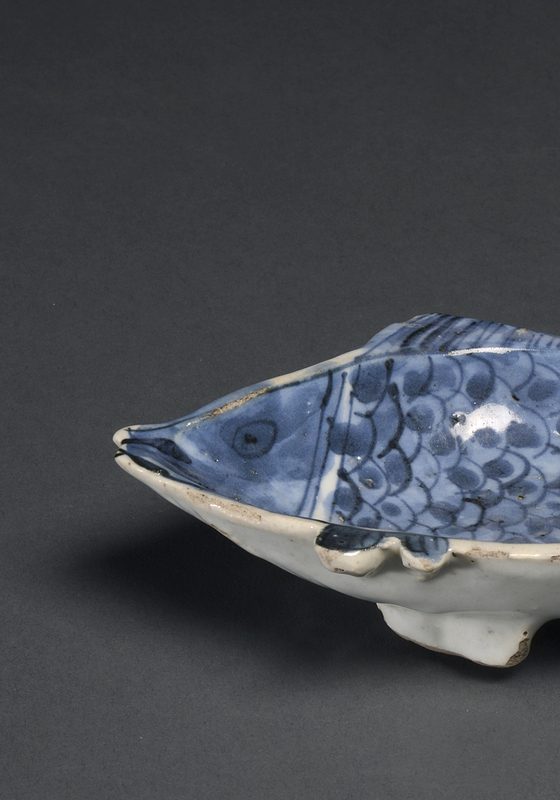 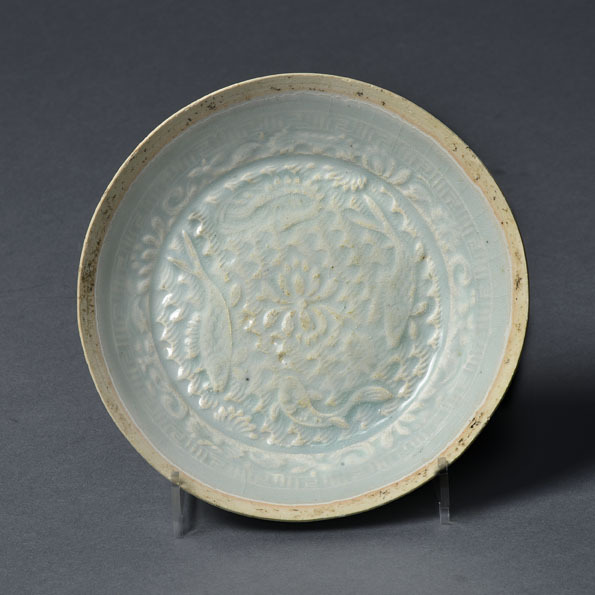 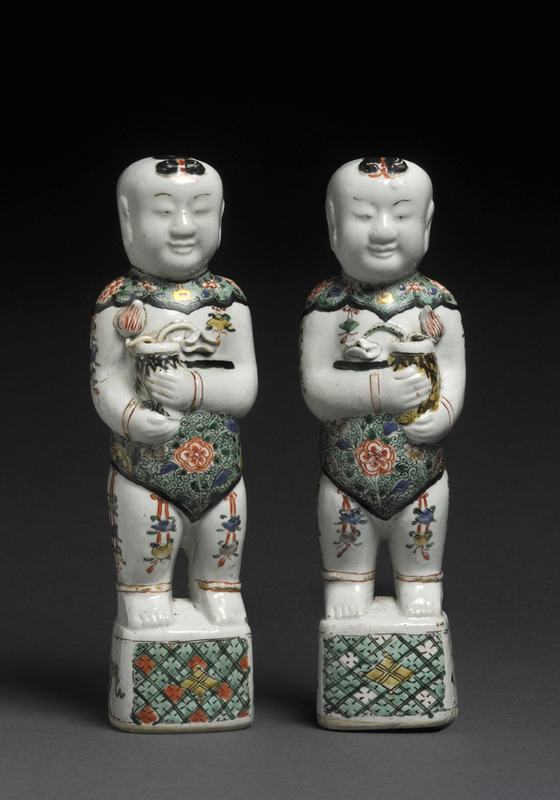 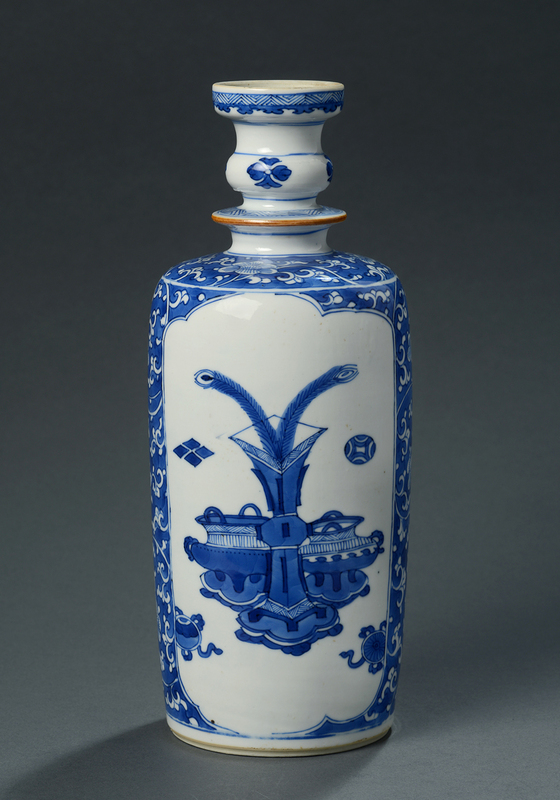 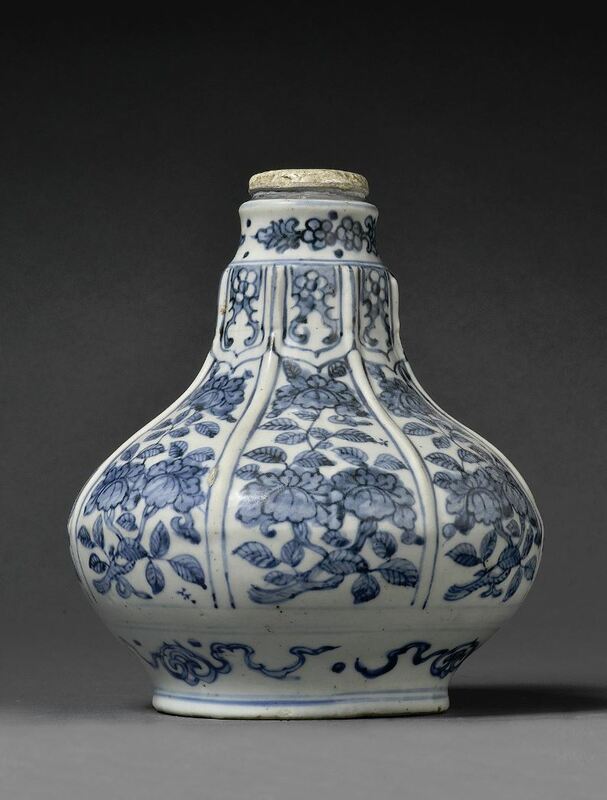 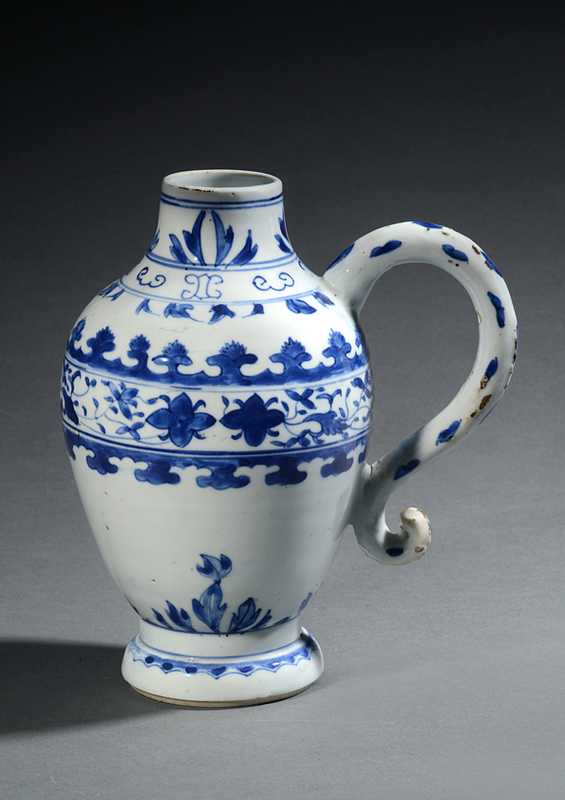 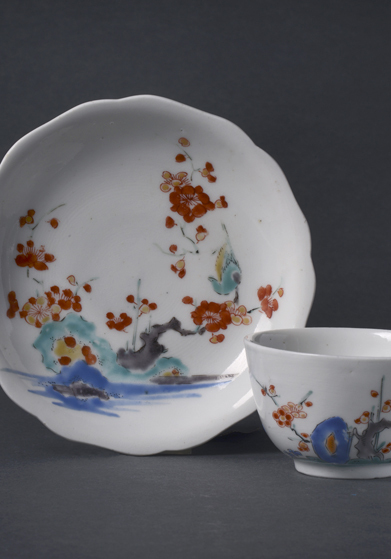 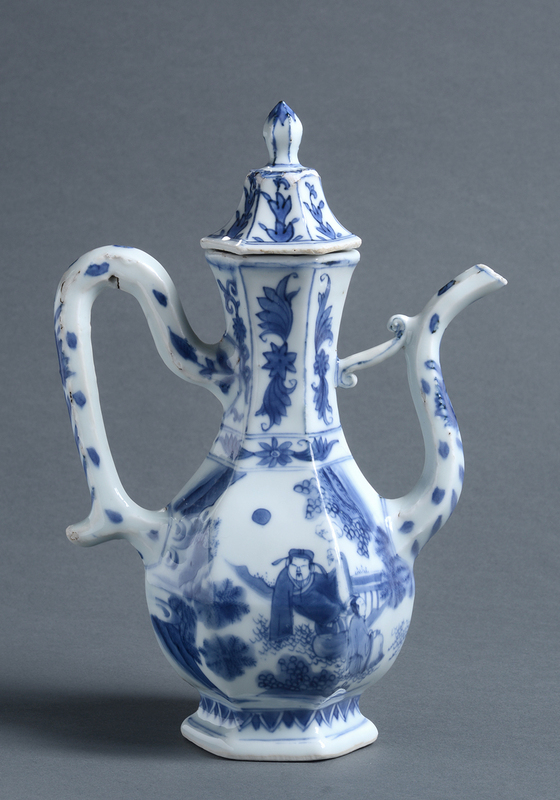 The fact that all elements of the ewer, including the spout and ear, makes it a hard to make and very rare item. 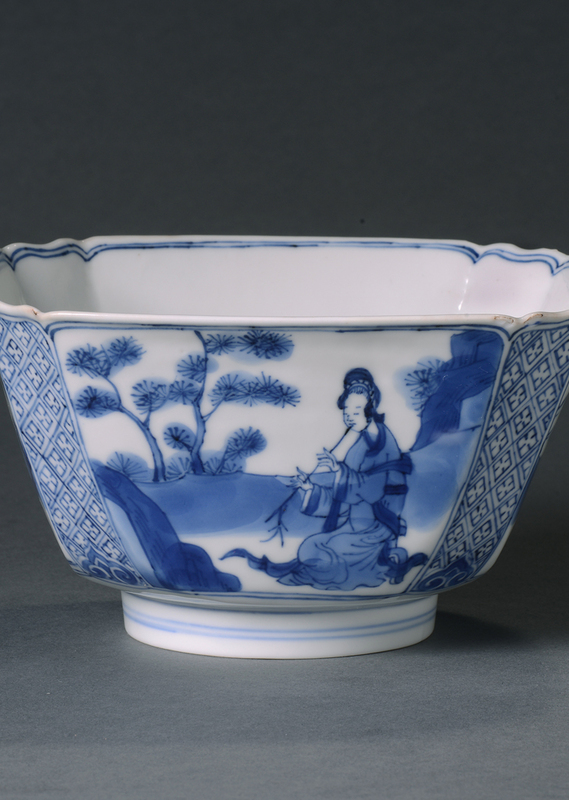 On both sides a decoration in blue and white of a person sitting in a landscape with high rocks and the characteristic clouds and v-shaped grasses of the Transition period. 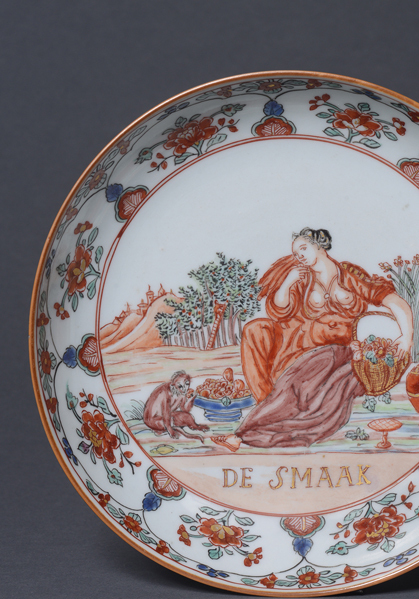 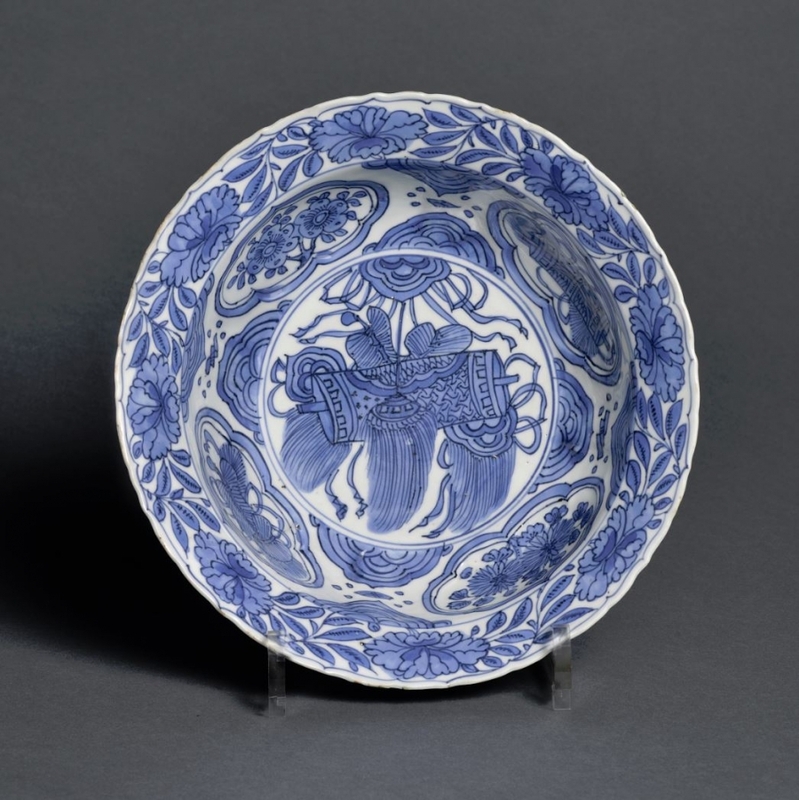 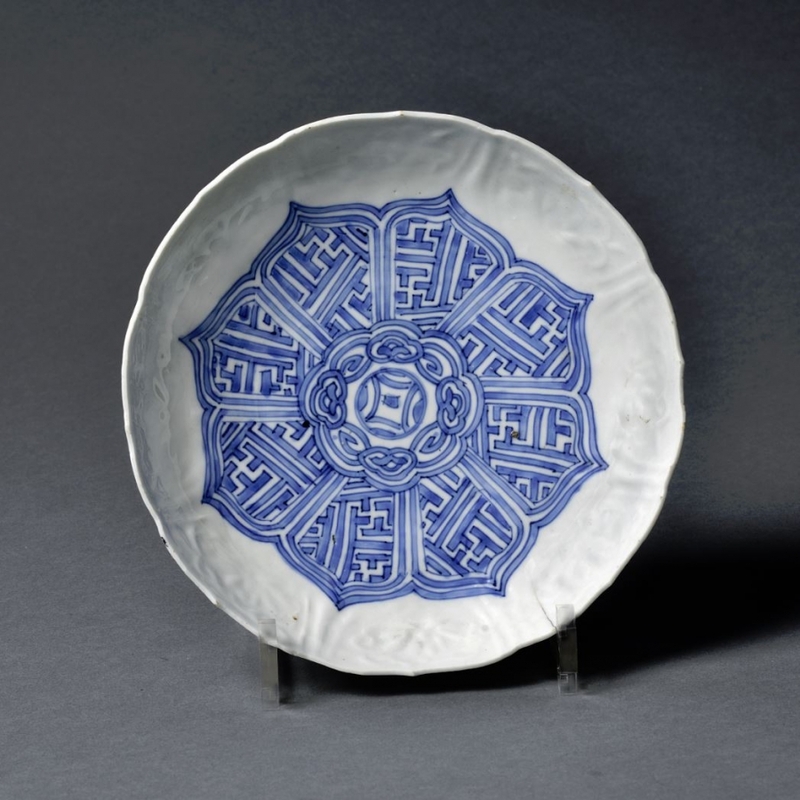 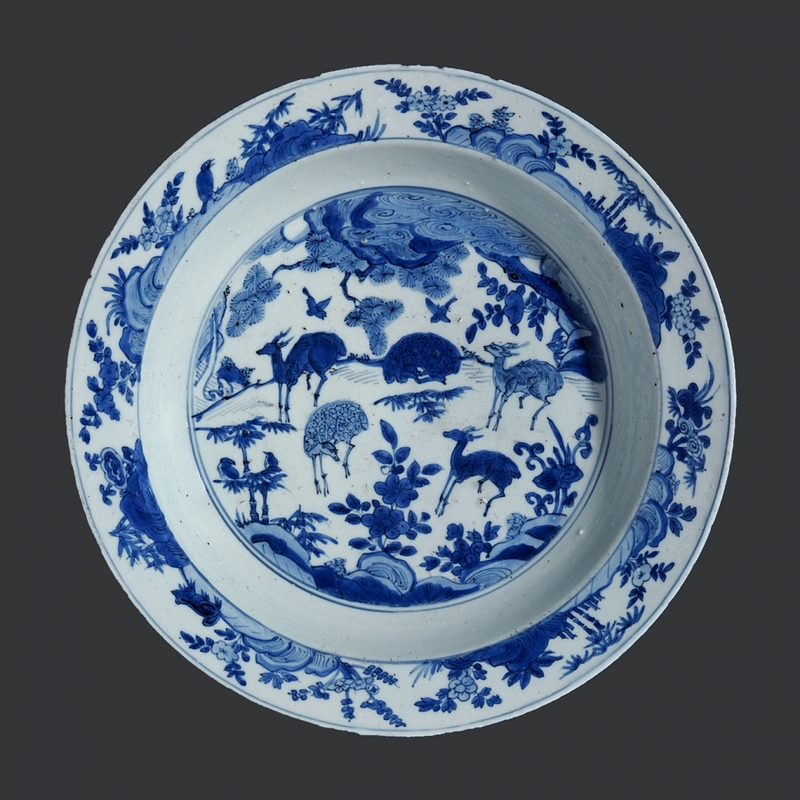 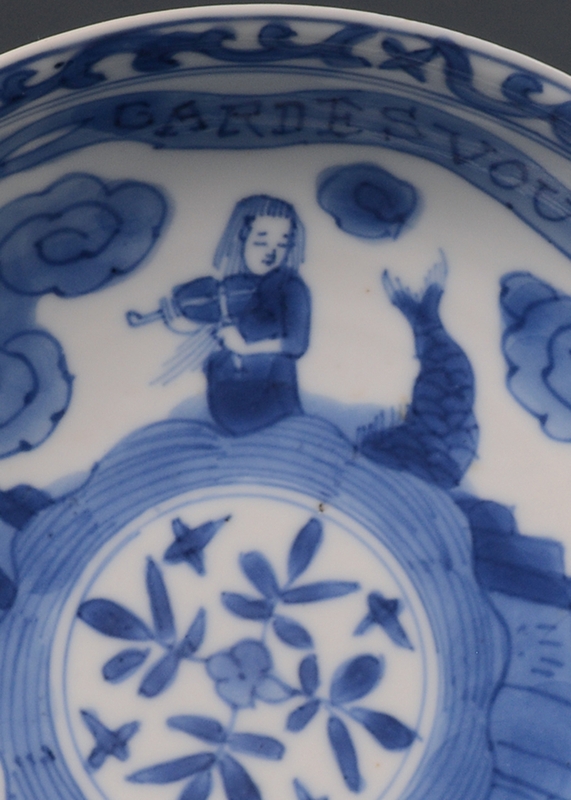 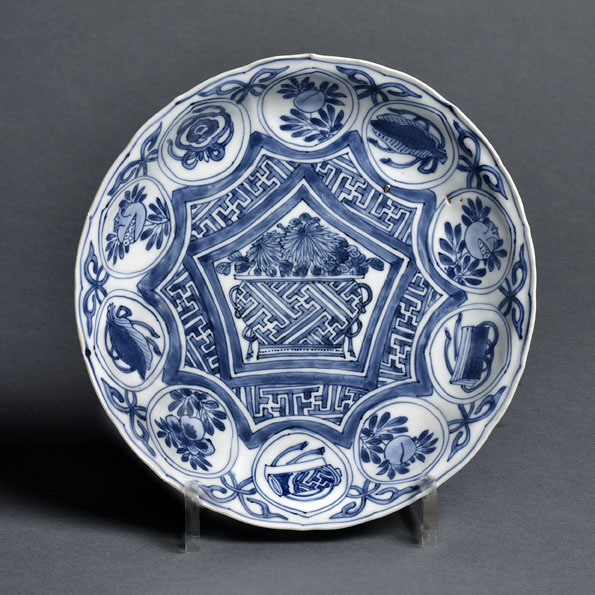 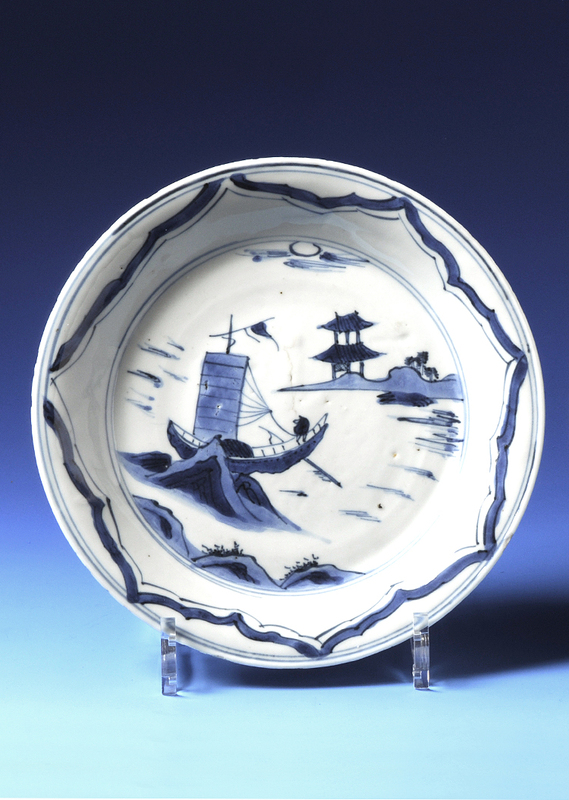 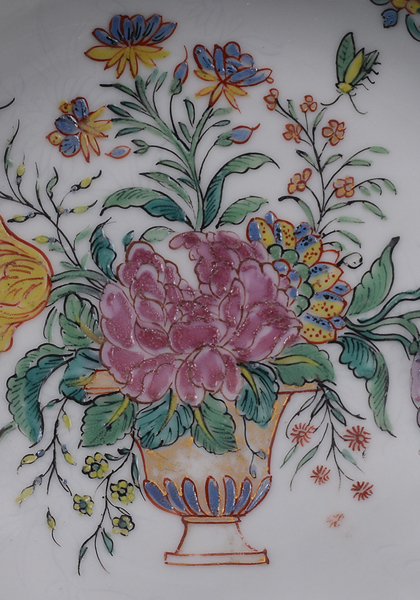 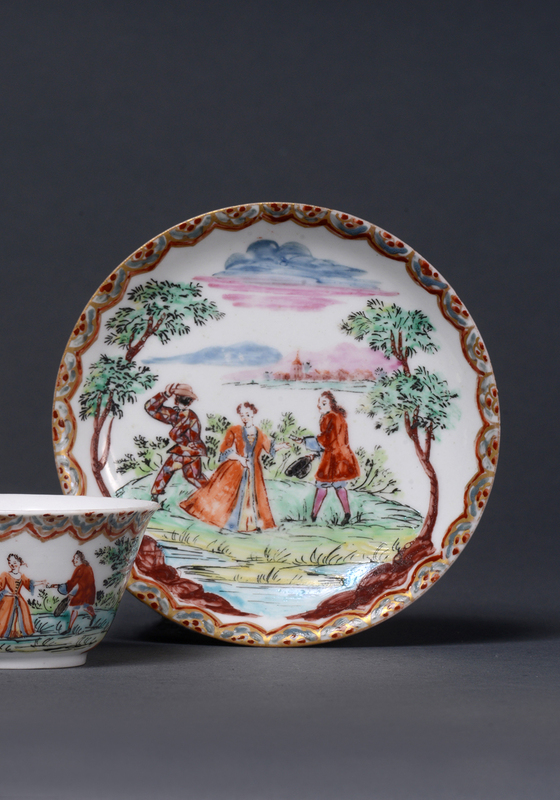 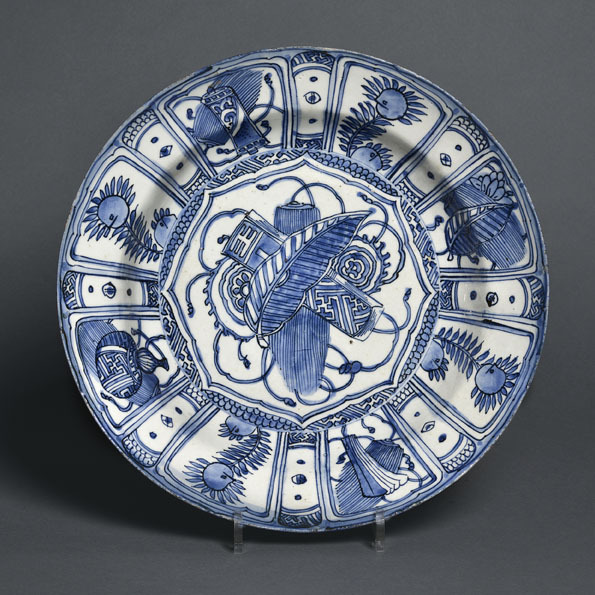 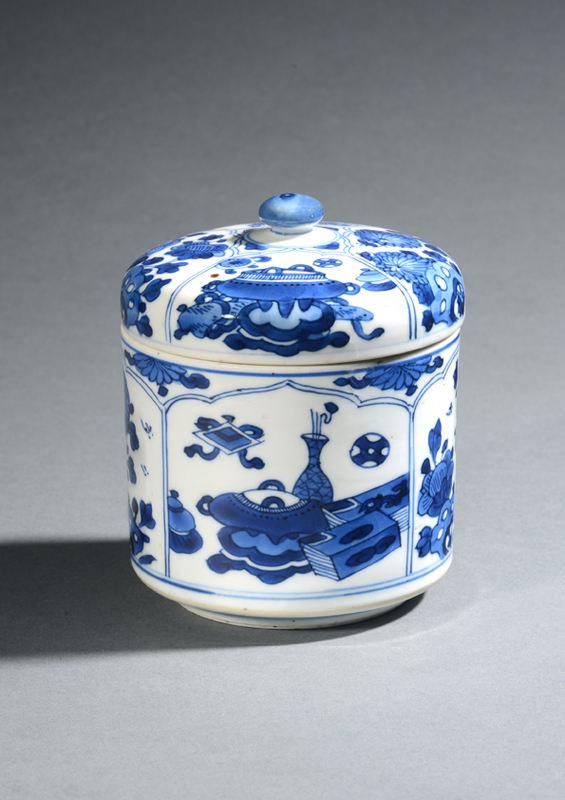 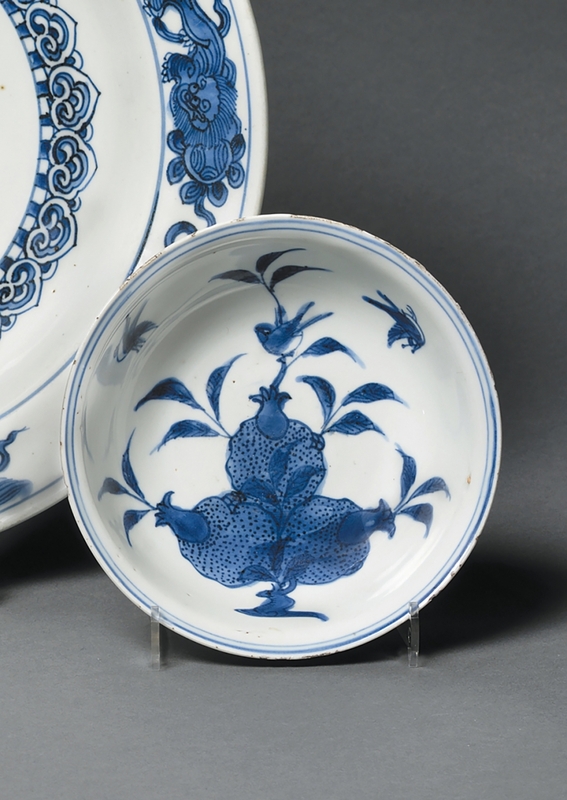 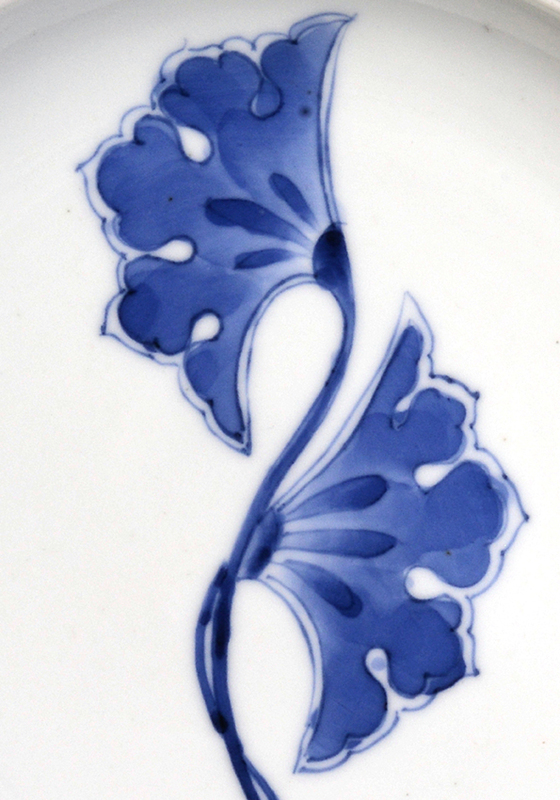 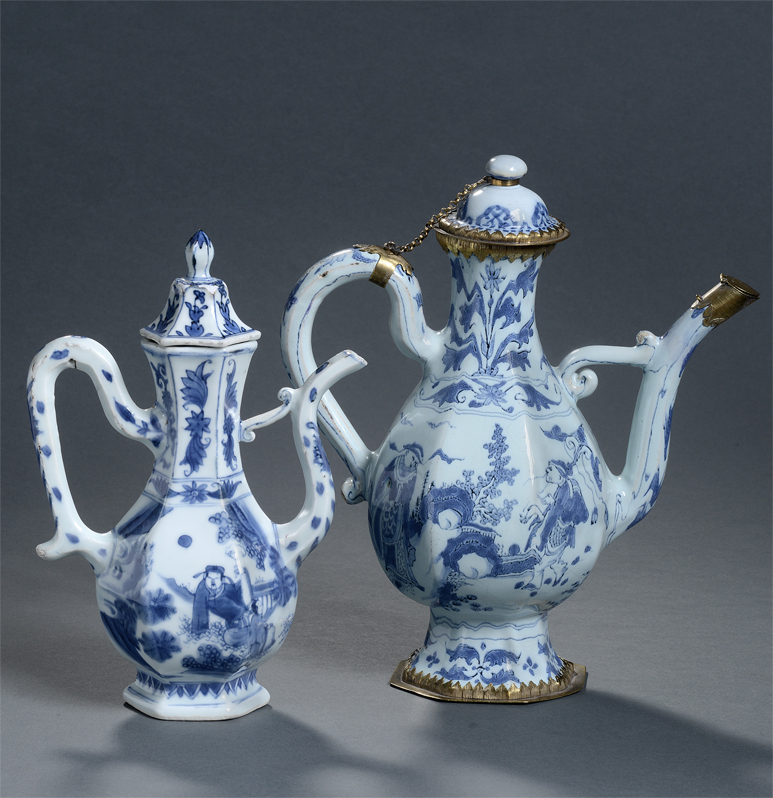 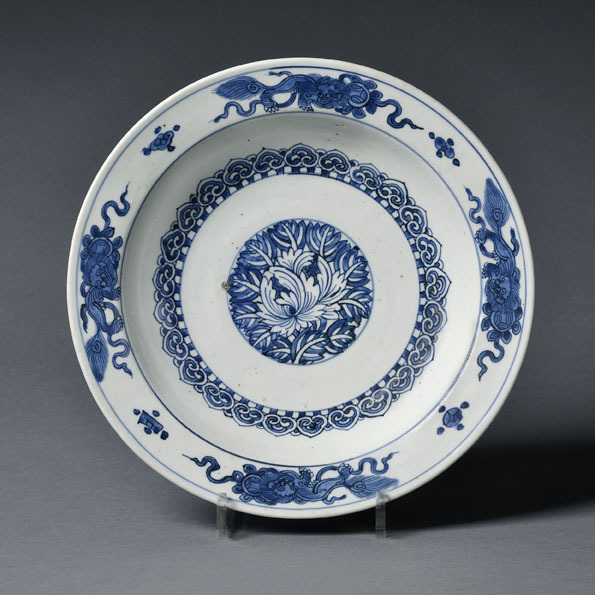 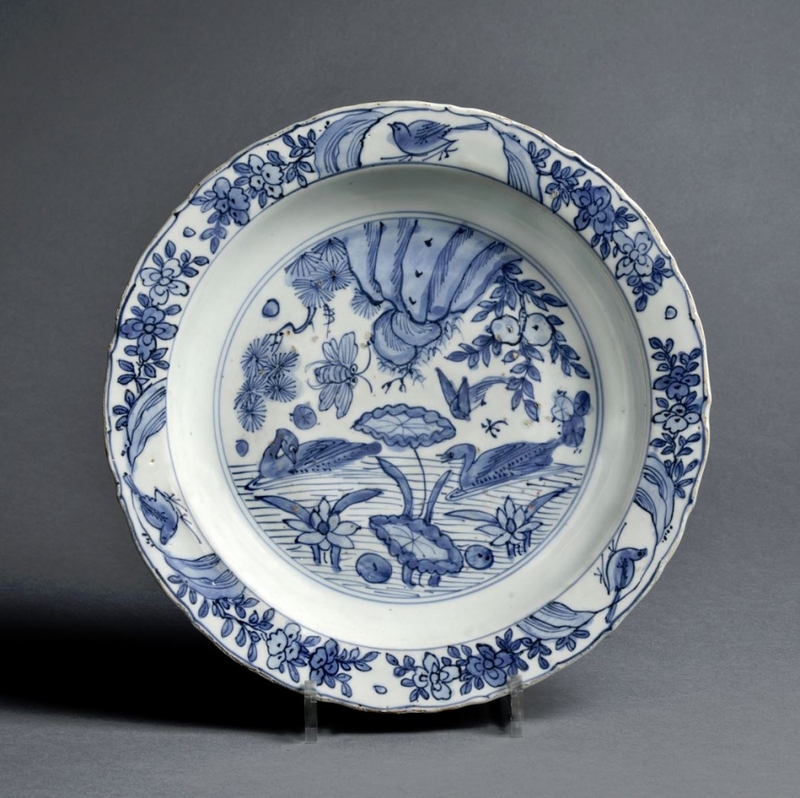 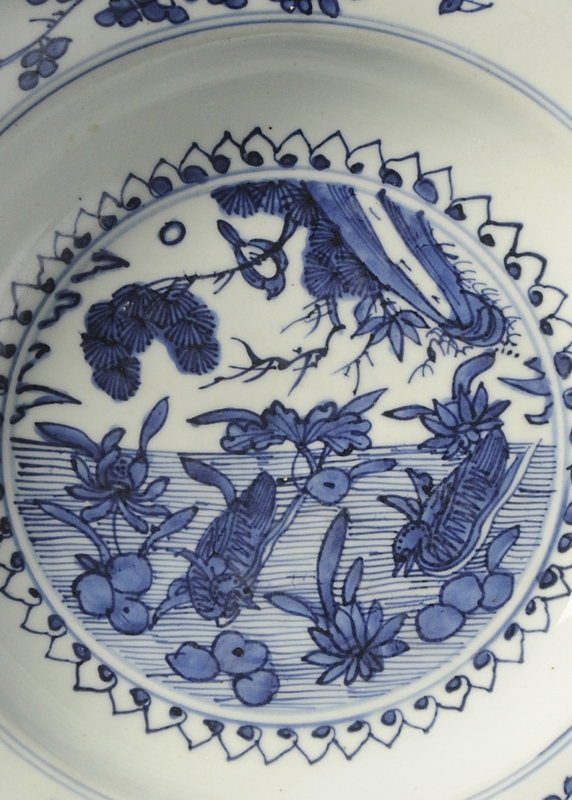 For the description of the Delftware ewer of the same type, please click here.